The concept of target accounts has existed in enterprise sales for years. However, after close to a decade of the “inbound” revolution, new life has been injected into an account focused sales model under the buzz word of Account Based Marketing (ABM). As this trend continues to gain momentum, CEOs need to ask themselves, what does this mean for my business? Historically, ABM has been the strategy of choice for enterprise companies selling six figure contracts, where the effort required to personalize the marketing and sales experience is well worth the return. Over the past year or two, marketing technology companies like Engagio, Terminus, LeadGenius, and Everstring have brought account-based marketing into the lower mid-market. This innovation allows companies selling contracts as low as $20K/year to harness ABM to align their marketing and sales teams and offer a more personalized and effective sales experience to their target accounts. For firms who have already built successful businesses off the back of traditional inbound demand gen, it’s important to understand that ABM and traditional demand gen are not mutually exclusive. In fact, an informed ABM strategy can only enhance and provide focus to existing demand generation programs. Many organizations that are building and scaling successful ABM programs consider it only a piece of their go-to-market strategy. Average selling price (ASP): Is your ASP high enough that you can justify spending the additional resources on ABM? $20K is the ballpark price floor that we have seen. Target market: Do you serve a market of identifiable accounts where information on key stakeholders, org structure and insights can be identified? If so, you’re well positioned for an ABM strategy. Marketing and sales team structure: Is your team structured in a way that marketing can execute on account or industry specific campaigns that show deep industry expertise? Are your marketing and sales teams aligned, allowing them to effectively collaborate to break into target accounts? Do you already have (or the resources to hire) market development reps (MDRs) who can support account research and prospecting? Leadership alignment: ABM signifies a broader shift in mindset than just a new marketing campaign launching this quarter. For your strategy to be successful, leadership across the organization must agree on the strategy and be willing to give it enough time to succeed. Depending on your answers above, you should have a good idea of whether ABM is feasible. Next, determine the scale of ABM that makes the most sense. A helpful framework for this next phase of your strategy is the three tiers of ABM that can help you focus on exactly how many target accounts you will need to develop and guide you towards the appropriate tactics you can use to engage them. ABM can align your marketing and sales departments, grow your pipeline and increase win rates. However, it’s not a fit for every company. As you move forward with ABM, take the time you need to align your leadership team, fully develop your ideal customer profile, and research your target accounts before you jump immediately to tactics. Without the requisite time spent in the planning phase you’ll be setting yourself up for a false negative. In the right market, with a well-researched accounts and campaigns to engage them, ABM can give you an important lever to differentiate your business from the competition and break into accounts that you haven’t been able to in the past. 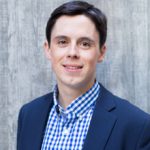 Matt is a Marketing Director at Mainsail Partners. He works with Mainsail’s portfolio companies to implement marketing and sales technology to fuel growth.